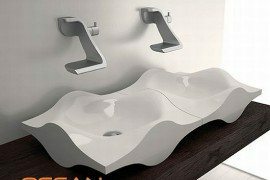 We are heading towards a future that seems to be a blend of innovative design and eco-friendly features that help build a greener tomorrow. 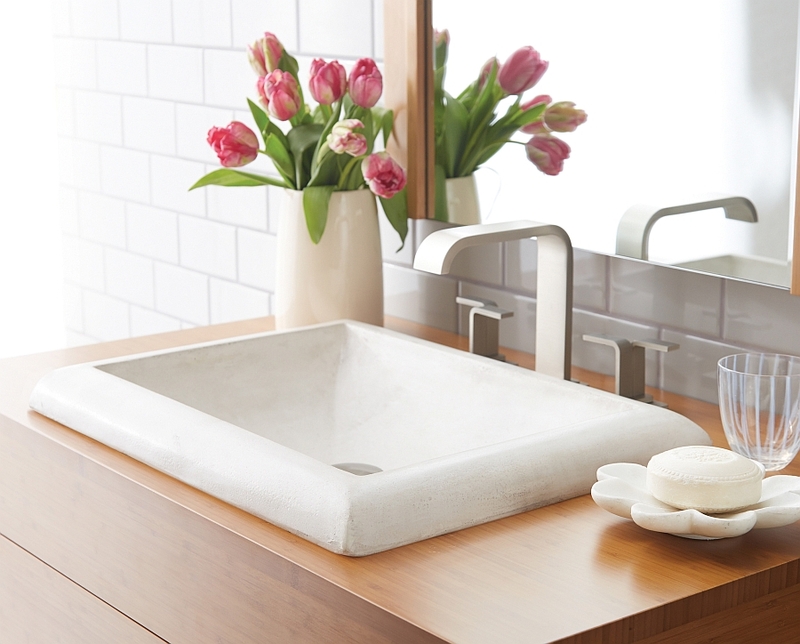 While the construction industry is moving forward with innovations like shipping container homes and steel prefab structures to save up on natural resources and costs, the decor industry is taking a turn towards green manufacturing processes and biodegradable components. 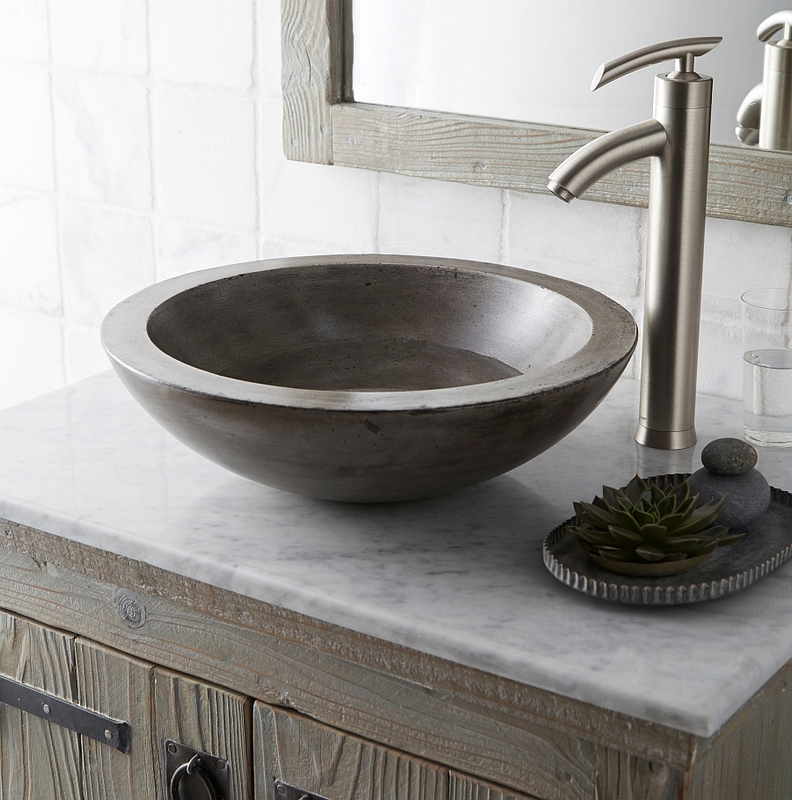 Crafted with ingenuity and care by Native Trails, the NativeStone lineup of sinks brings this touch of green goodness into your bathrooms. 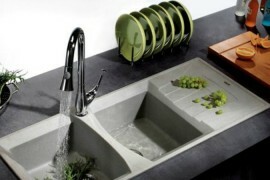 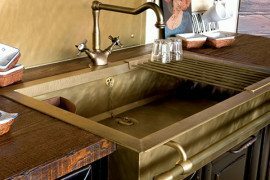 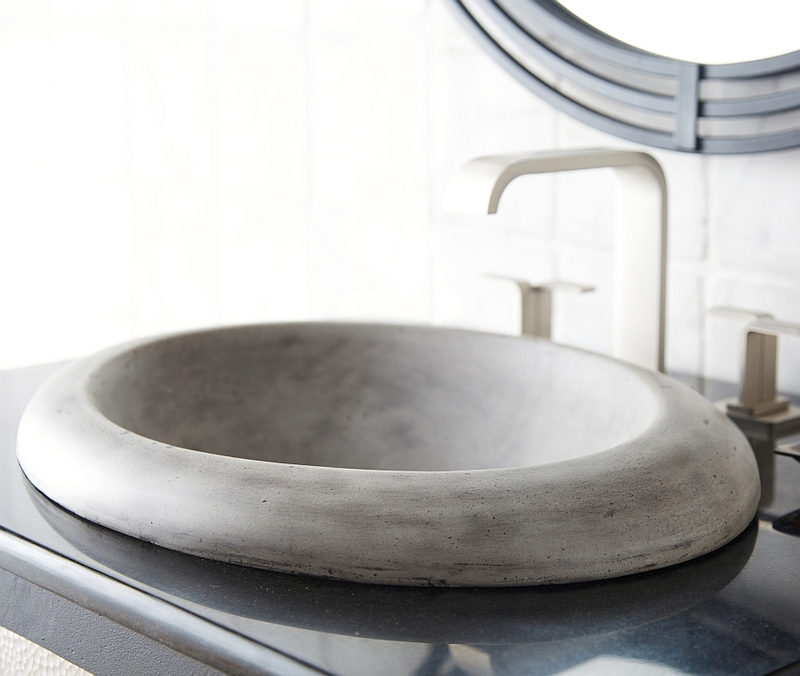 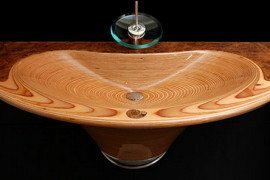 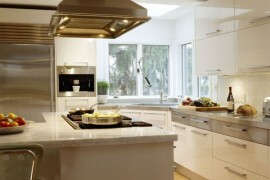 Each of these sinks is handmade by artisans and gives you the very best both in terms of aesthetics and ergonomics. 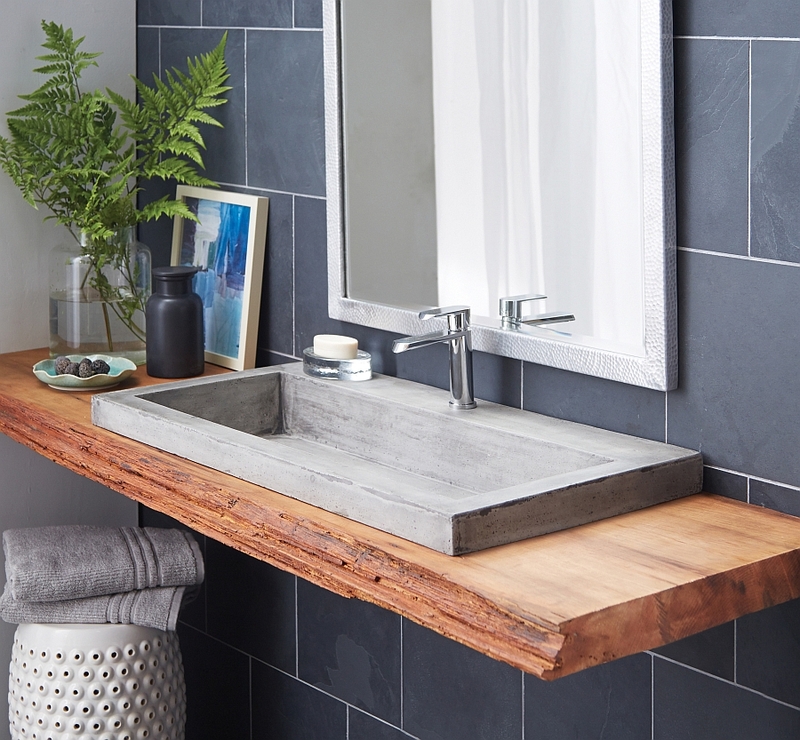 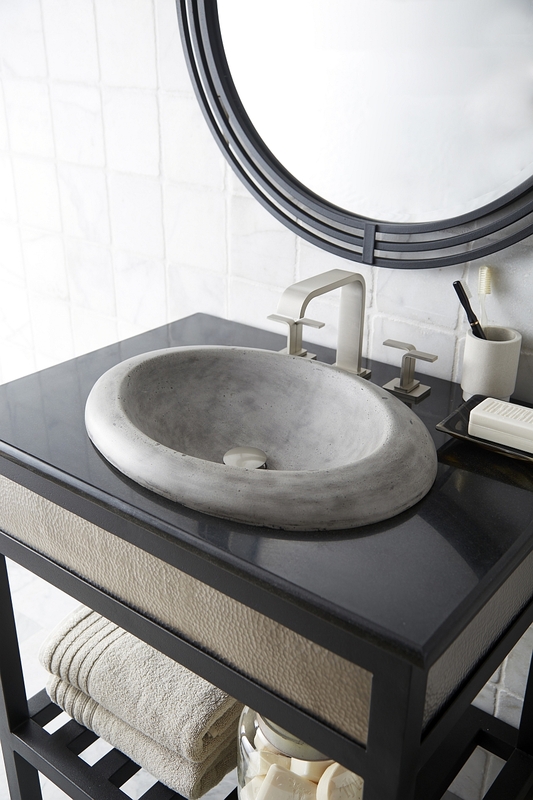 Crafted from a very special mixture of jute fiber and cement that has been specifically developed for the lineup, the sinks are 40 percent lighter than their conventional counterparts crafted exclusively from concrete. 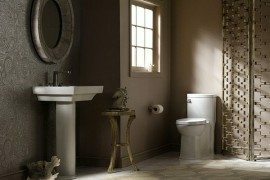 The mixture also makes them far more planet-friendly, as the jute used in the manufacturing is grown by local communities, which also benefit from the process. 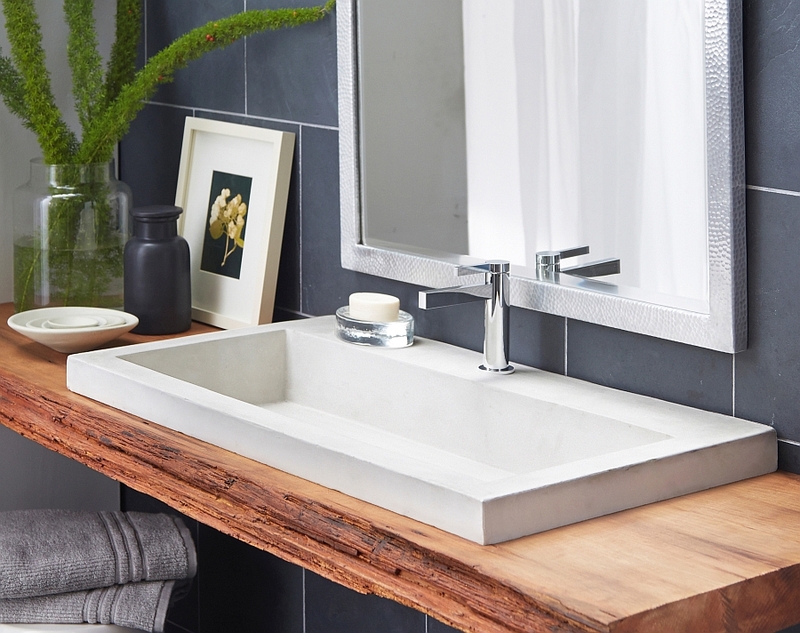 The rectangular bath sinks that you see here come from the sleek Trough series that seems to combine modern minimalism with an organic design and a natural appeal. 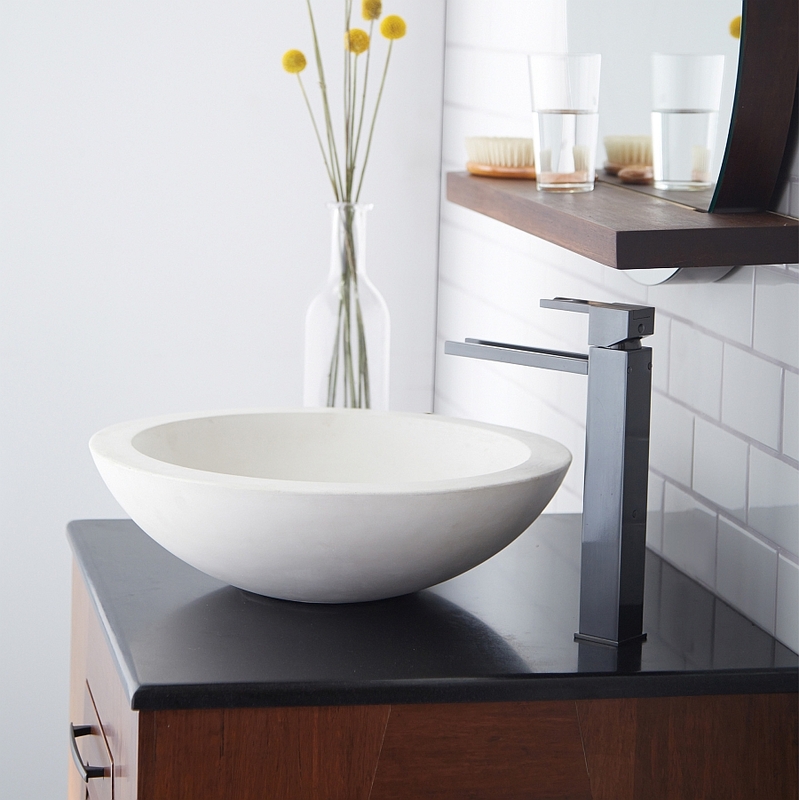 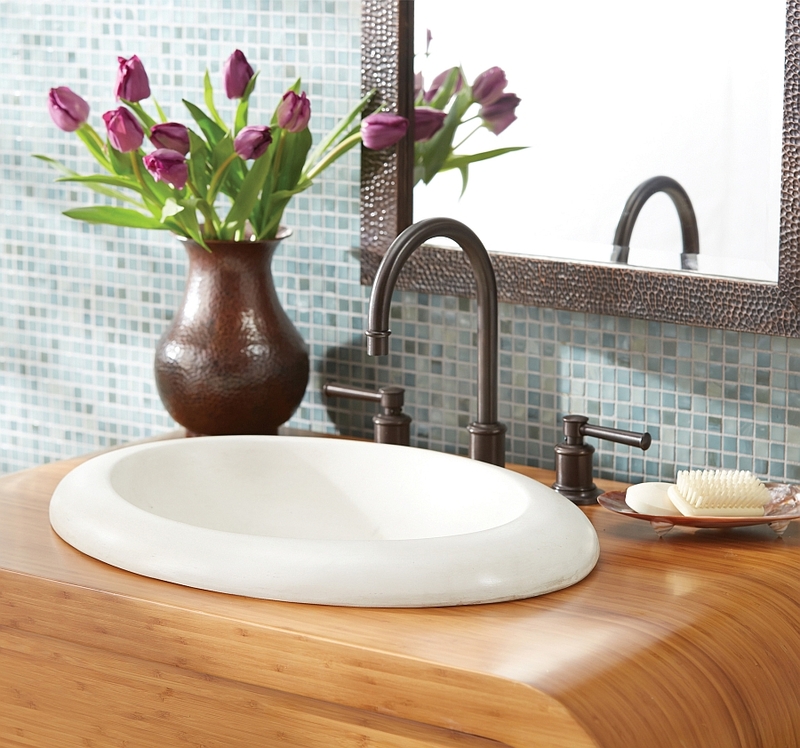 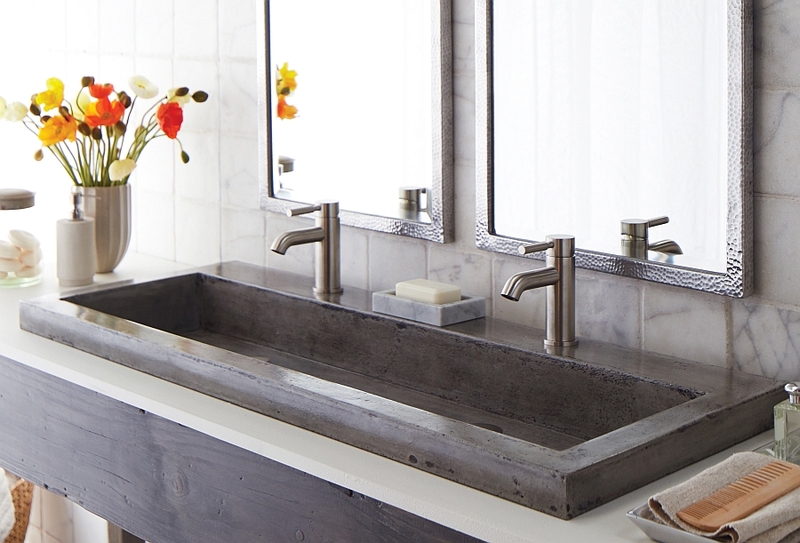 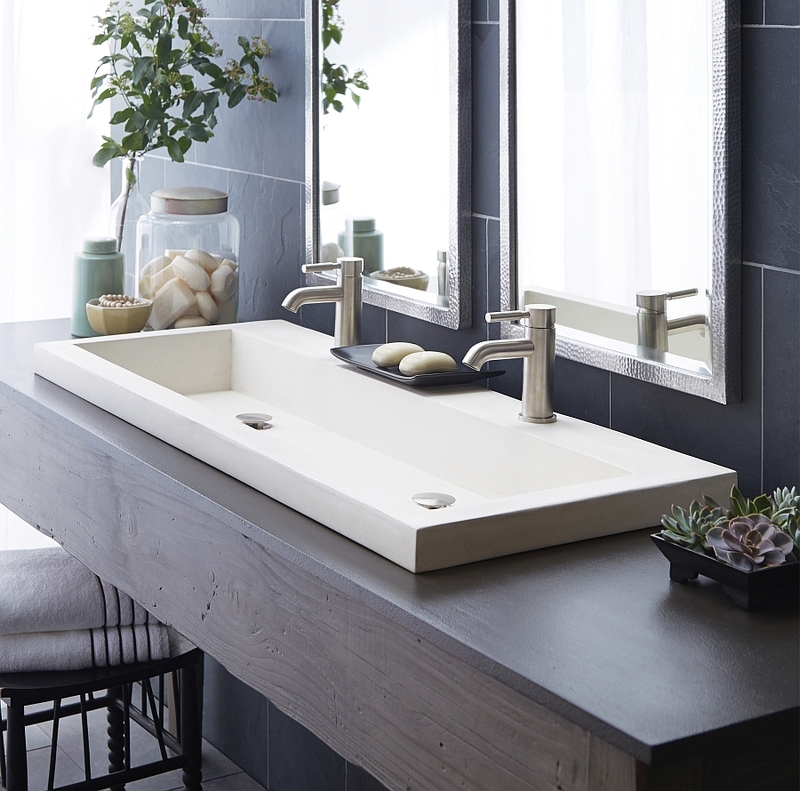 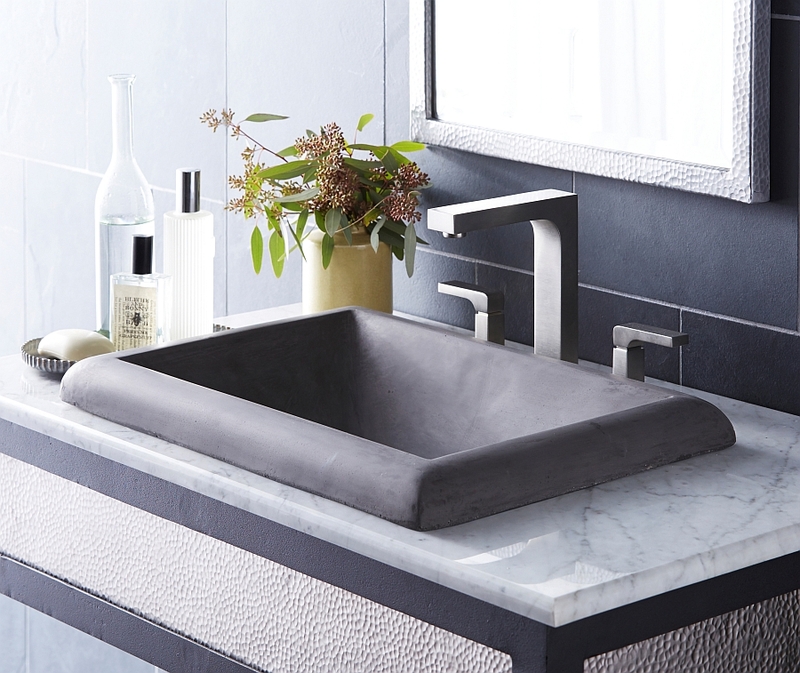 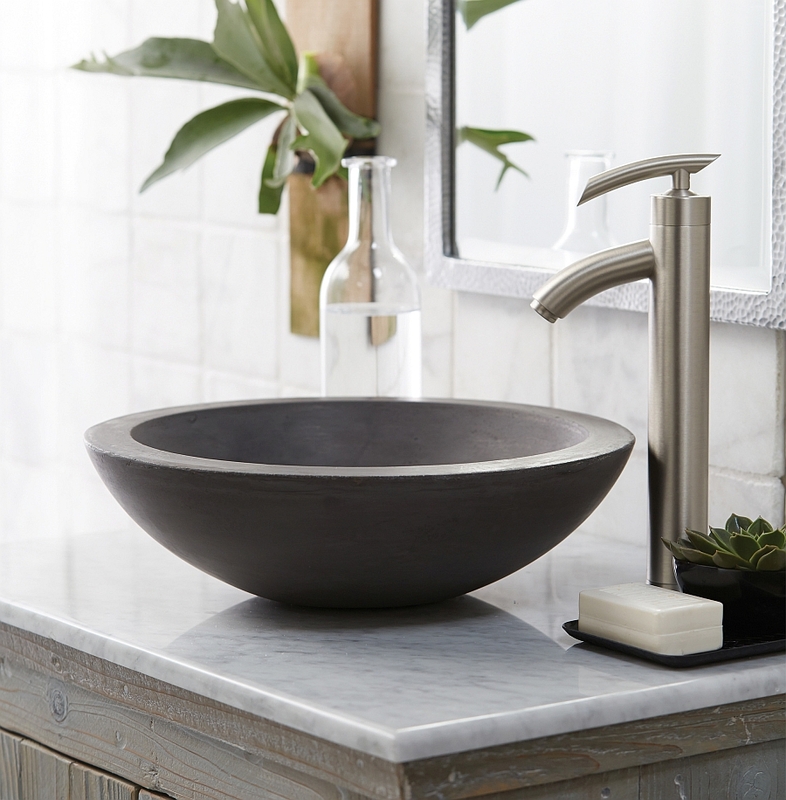 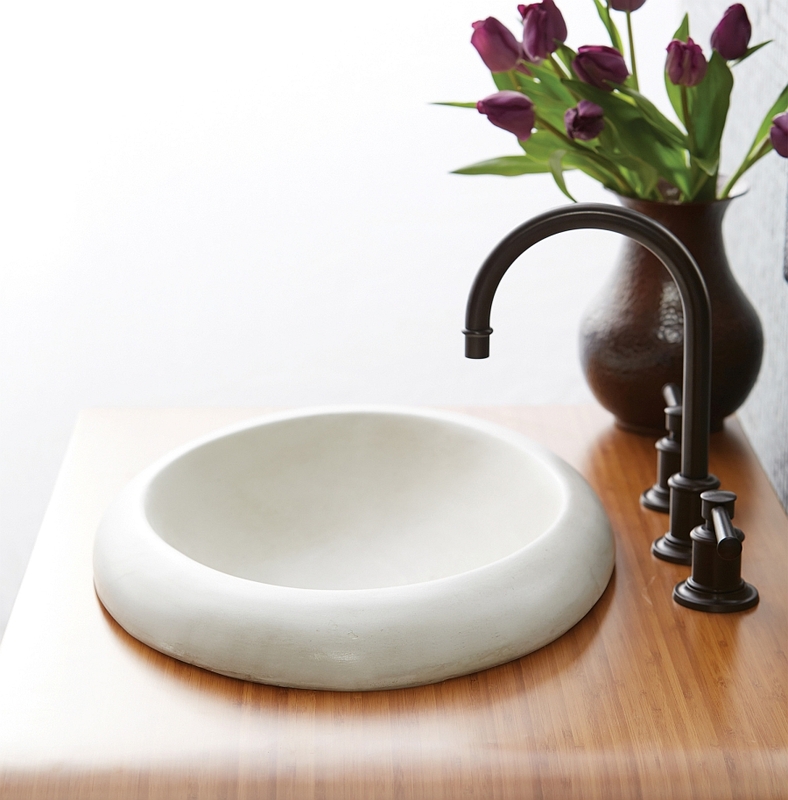 The smaller sinks make up the more glamorous Montecito lineup that adds a hint of elegance to any space it adorns. 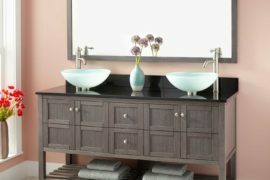 All the sinks come in Ash (light, natural grey), Slate (rich, darker grey) and Pearl (bright cream that almost seems like white). 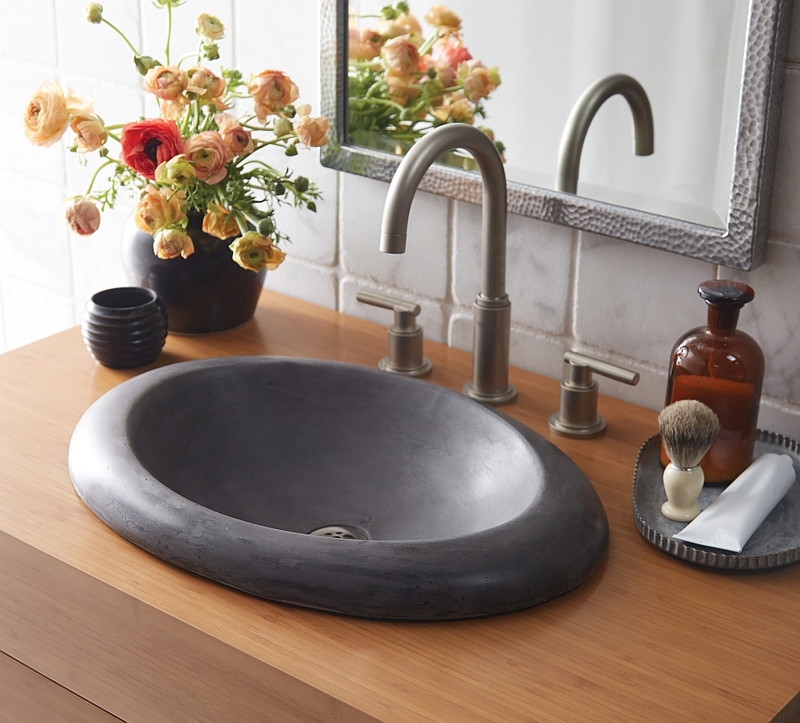 The traditional, oval bathroom sink on display here is dubbed the Cuyama, while the lovely half-sphere vessel sink is called the Morro. 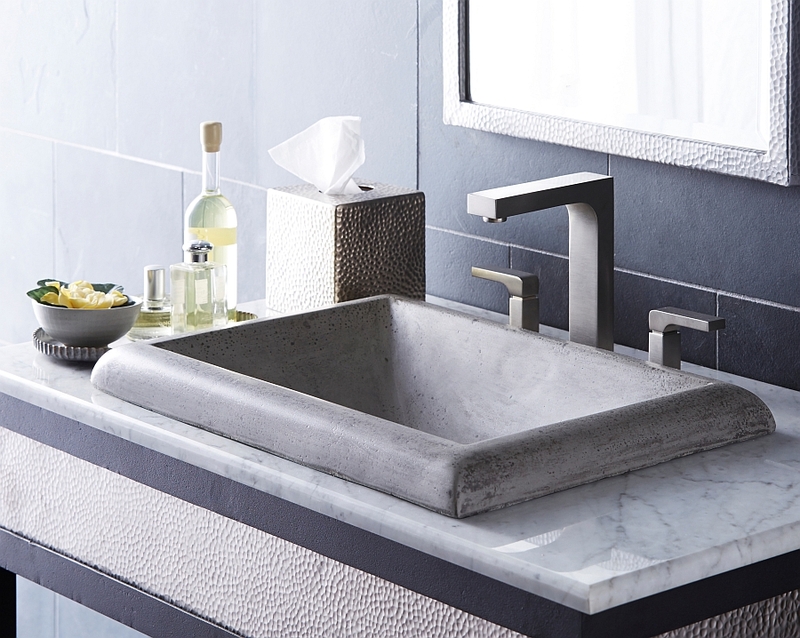 An intensive multi-day process sees the creation of each of these sinks, and a cutting-edge nanosealer is used to give it the perfect finish. 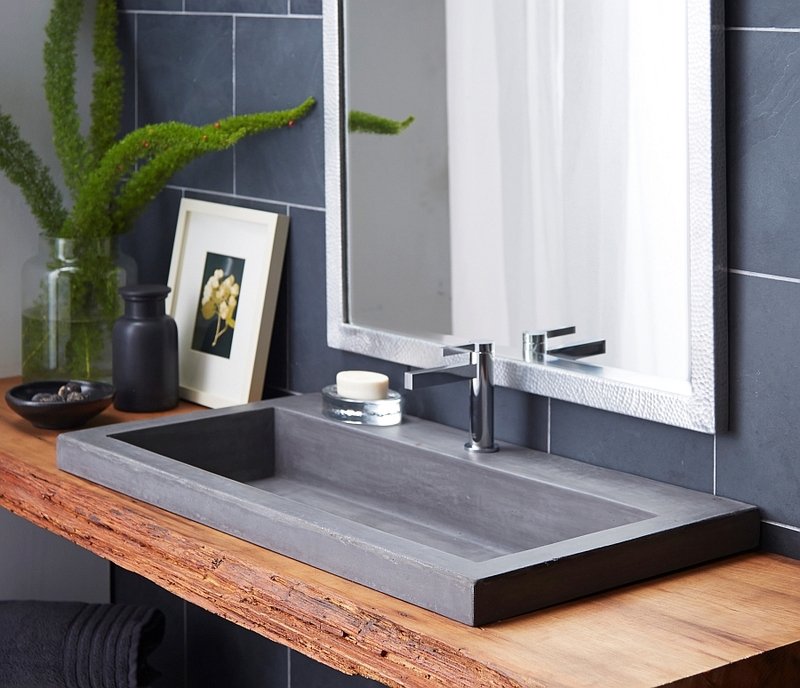 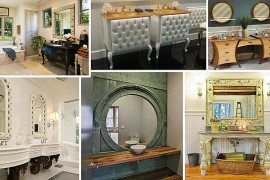 Blending beautifully with the contemporary bathroom style, each of these ravishing sinks brings along with it a charm of its own!